Good food, drinks, friends and ukulele!!! With winter setting in, ask we all want to hunker down and eat. And what better way then with a big ole piece goodness called lasagna?! Do you make it at Christmas or New Years, or whenever you want that giant casserole dish of baked noodles with sauce and cheese? Do you add meat or vegetables? Maybe you’re a white sauce kind of person? For me, it all comes down to one thing, tomato sauce. It screams lasagna. 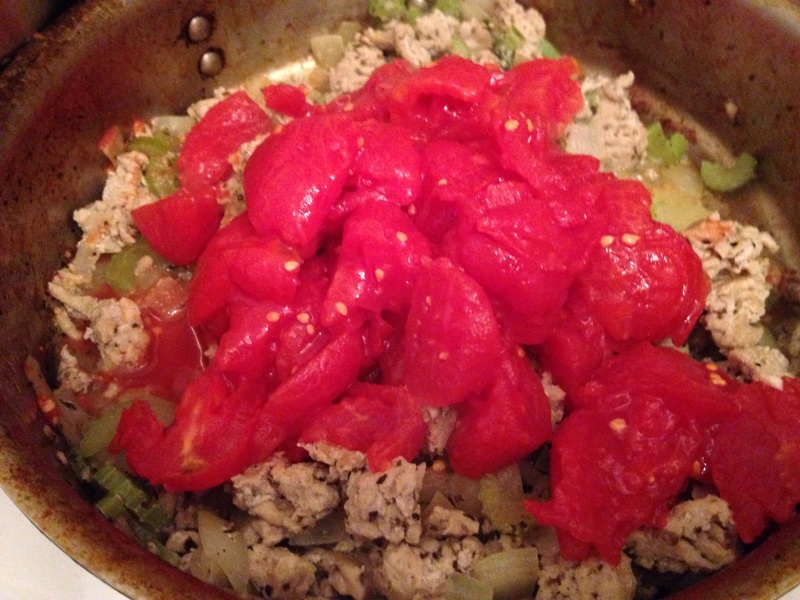 All red and bubbly with veggies and Italian sausage, yum! I usually start with one large and one medium can of whole tomatoes. Giving them a medium rough chop so you have nice chunks of tomato. Then I saute onions, garlic and whatever vegetables I want in my sauce, like celery and bell peppers, all seasoned with the herbs I’m using in the sauce. I find it helps get things going. If I am adding sausage, I cook the veggies in with the sausage, onions and garlic first then the rest. Next I combine the tomatoes, veggies, meat and simmer for a few minutes then add some paste to thicken. 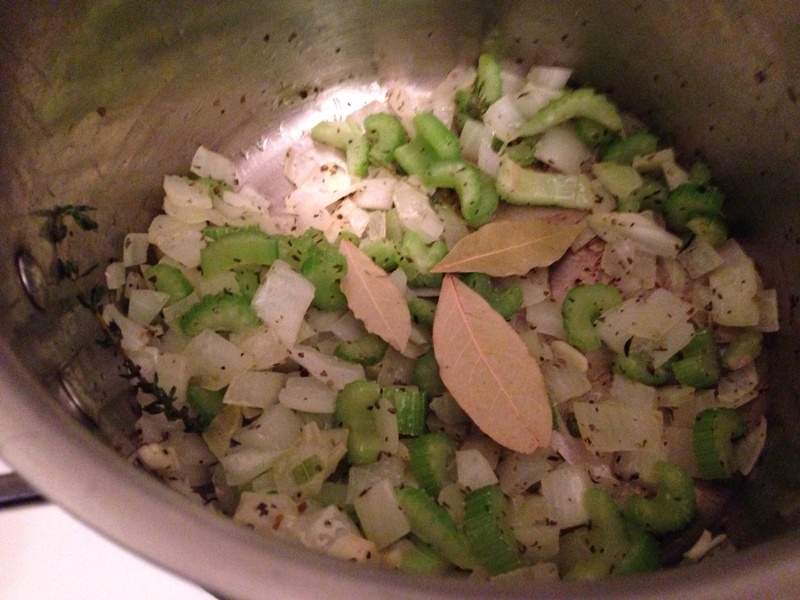 More herbs and simmer for as long as necessary. I even slice zucchini to put in between the layers. When it comes to cheese, fresh is best. But we all know we can’t always get it or have the time to make it. So do your best and it will be just fine. I do stir up my ricotta if it comes store bought, makes it easier to spread or drop. But my big discovery is to grate most or all of your mozzarella, which can be evenly distributed. This will keep you from having that moment when you accidentally sliced it too thick and don’t have enough to cover the top. Oops! Been there done that! And who ever thought of cottage cheese as a substitute for ricotta should be shot. Don’t do it ever! You are not doing yourself or your guests any favors. Then there is the debate on the noodles. Fully cook, don’t cook, cook partially. What do you do? Ive done all three. I prefer to cook them al dente so they finish with the flavors of the sauce. Also cook and extra one or two just in case one rips. If not then have fun eating it while the lasagna cooks. Once you have done all this, simply put it in the oven at 350 till golden bubbly, about 30-45 minutes and when done, let it stand for about 15 minutes and serve. What could be more perfect and easy then that? I agree that anyone who uses cottage cheese instead of Ricotta should be shot!! And thanks for the tip about the zucchini! I make veggie lasagna and slice my zucchini, roast it in the oven with olive oil and sub it for the pasta. 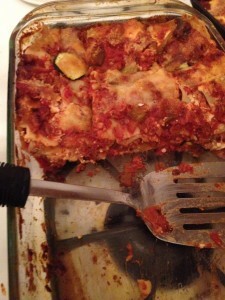 I have never thought about using it as an extra layer in my meat lasagna!! And as for the white sauce versus the red sauce? White sauce just makes “Alfredo casserole!” There is nothing like walking into a warm kitchen on a cold day to the scent of homemade “Red Sauce” on the stove! Keep the great recipes coming!! I love the idea of Zucchini as noodles. Must try it. Thanks for the tip!